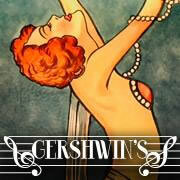 A 20's piano bar without the prohibition. Gin without the bathtub. A swanky speakeasy where you can enjoy long draws of decadent cocktails or knock 'em back like a Tommy gun. Tue-Sun, Bar; 4pm til; Dinner: 5pm til; Brunch: Sun, 10:00am-2:30pm.